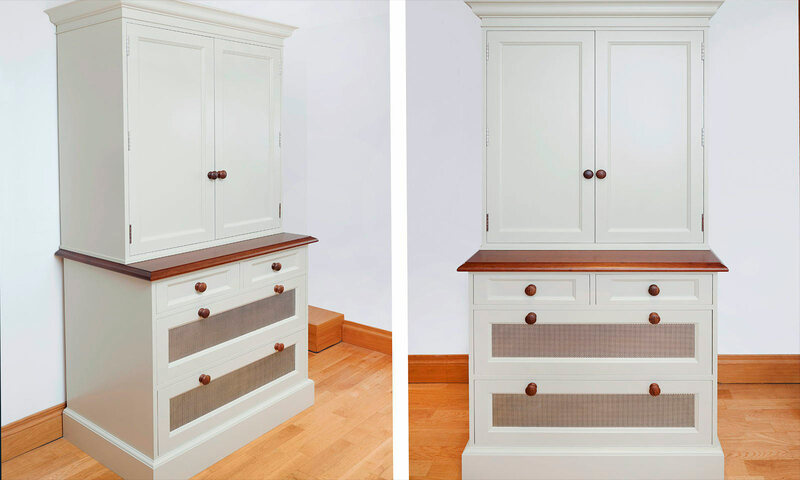 This beautiful cabinet is a classic design. 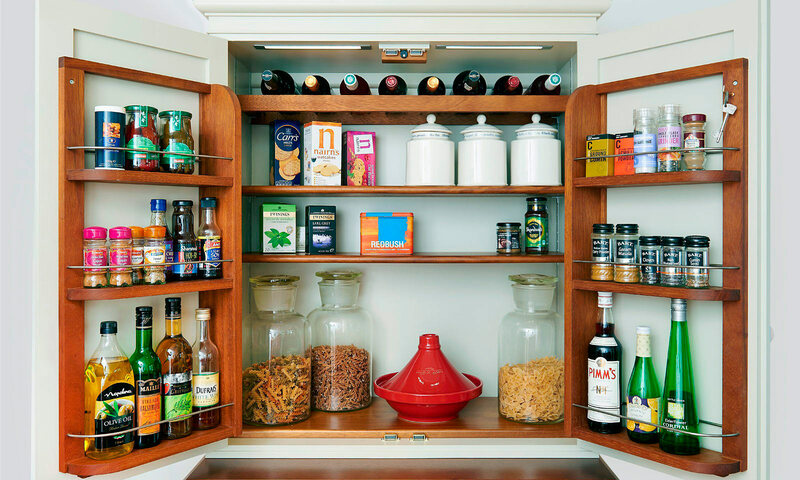 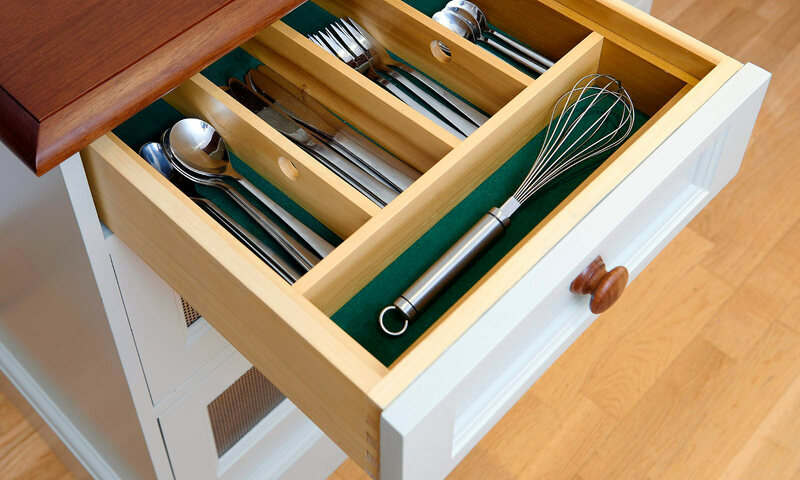 With bottle racks attached to the inside of the doors, a cutlery tray in the top drawer and special shelving for wine bottles at the top, this style of cabinet is the perfect addition to any kitchen. 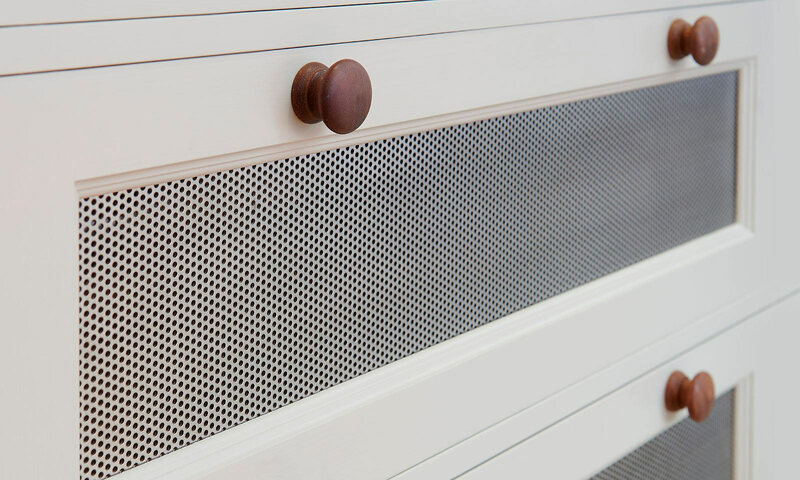 The drawers to the lower half are fronted in stainless steel perforated grille, perfect for storing fresh vegetables or bread and the cabinet was hand finished in Farrow & Ball 'Old White'.